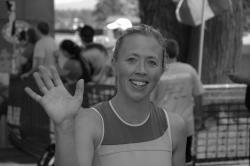 I have been training for the past two years with my own experience coming from marathon running and triathlon racing. I believe in working hard while doing exercise that prevents injury and is fun. If you like what you are doing, you will continue!